A man suspected of a triple homicide in Central Florida has turned himself into police. For NBC 6, Katie Johnson reports. A man suspected of killing three people, including a young girl in Central Florida on Friday has turned himself into police, officials said Sunday. According to police, Ernst Cherizard, 38, turned himself into the Haines City Police Department after 2 p.m. Sunday. 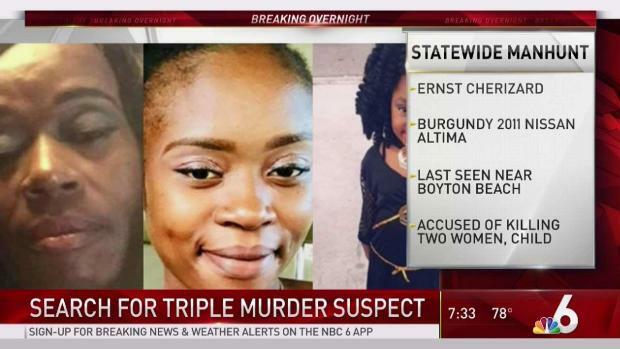 According to police, Elizabelle Frenel, her mother, 23-year-old Eli Junia Normil, and aunt Nicole Guillume, 48, were shot by 38-year-old Ernst Cherizard, who fled the scene. Normil and Guillume were killed at the scene, and Frenel, who was shot three times, died the next day. Elizabelle Frenel was pronounced dead at an Orlando hospital late Saturday night, following the Friday night shooting at an apartment complex in Haines City, in central Florida, police said. A 6-year-old Florida girl who was critically injured in a shooting that left her mother and aunt dead has died, as authorities continued their manhunt for the alleged gunman who may have fled to South Florida. Elizabelle Frenel was pronounced dead at an Orlando hospital late Saturday night, following the Friday night shooting at an apartment complex in Haines City, in central Florida, police said. 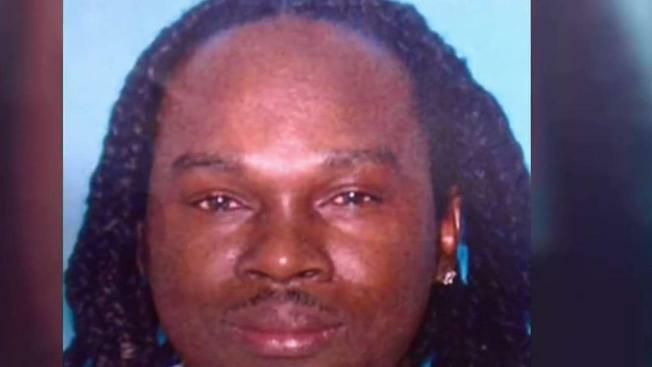 According to police, Frenel, her mother, 23-year-old Eli Junia Normil, and aunt Nicole Guillume, 48, were shot by 38-year-old Ernst Cherizard, who fled the scene. Normil and Guillume were killed at the scene, and Frenel, who was shot three times, died the next day. Cherizard and Normil had been in a relationship and had two children, but Frenel was not one of his children. "He's a male, not much of a man to shoot a child and two females, not much of a man there," Haines City Police Chief James Elensky said. Cherizard, who is considered armed and dangerous, fled in a burgundy 2011 Nissan Altima, license plate GZN C82, police said. A toll booth 200 miles away near Boynton Beach recorded the plate early Saturday morning, authorities said. A man accused of killing two women and wounding a girl may be in South Florida. NBC6 Reporter Darryl Forges explains. A Facebook post on a page believed to be Cherizard's apologized for the shooting, saying "I can't explain what happened cuz I can't believe this happened." Detectives are in the process of interviewing Cherizard. It's unclear what charges he will be facing. A GoFundMe page has been started to help raise money to cover funeral expenses. To make a donation, click here.